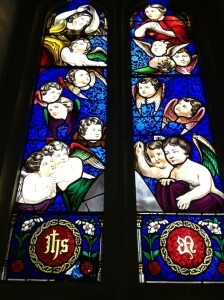 The history of stained glass windows goes back to mediaeval times when churches used them to demonstrate their wealth. 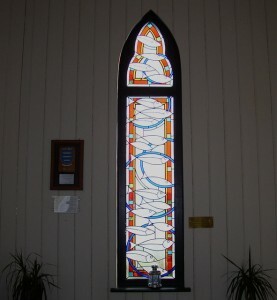 There are many examples of stained glass windows being used to tell a story as reading and writing were limited to the educated in these times. Cardiff is lucky to have some excellent examples of stained glass windows some of the best examples of which can be found at Cardiff Castle which was of course built by William Burgess. Burgess was responsible for building both Cardiff Castle and Castell Coch. These buildings have become iconic to Wales and Cardiff in particular. He took a particular interest in Cardiff Castle and made many sketches of the stained glass windows which we are fortunate to be able to view today. Some other examples of stained glass windows can be seen in the Norwegian Church in Cardiff Bay, the present location for Norwegian church is not where it was originally constructed. The church has some to particularly good examples which would have been installed to give comfort to the Norwegian sailors. These sailors used to import pitt props to Cardiff from the vast Norwegian forests. These pitt props were used in the coal mines of the valleys after suitable local resources had been used up. The sailors then carry coal back to Norway on the return trip. When the Norwegian Church was moved to its new location in 1992 one of the best examples of stained glass windows was installed to commerate this. It was done by a local artist, Rhiannon Powell and donated by the Welsh Norwegian Society. The plaque says ‘Alt for Norge’, which means all for Norway. Some fine examples of stained glass windows exist in some of the many pubs in Cardiff. A typical example of which would be the Albany Hotel on the corner of Donald street in Roath. The Albany is a welcoming Brains pub and was built in the late-Victorian era in 1895 with a beer garden. 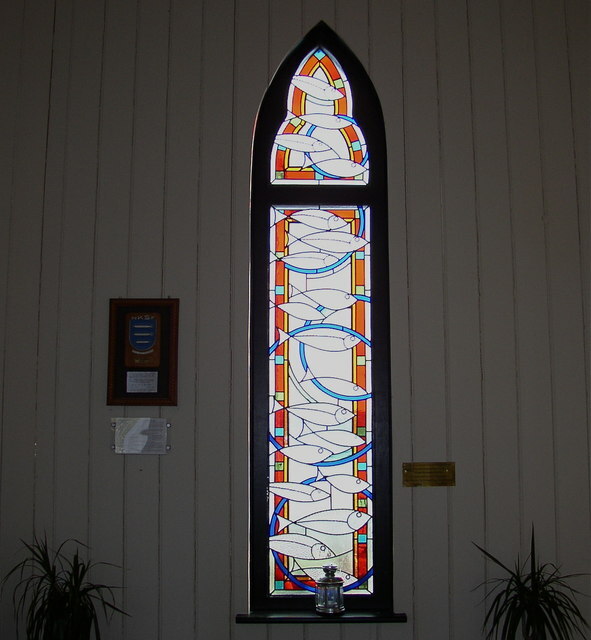 The bar has old stained-glass windows decorated with the Breweries logo with in blue and white glass. Modern stained glass windows are increasing in popularity with fine designs using traditional methods available from local craftsmen. One of these is by coincidence is almost adjacent to the Albany Hotel in Donald street. With the advent of double glazing and in the interests of thermal efficiency these satined glass windows can be embedded between the double glazed unit to give a highly decorative effect.